The W.S. 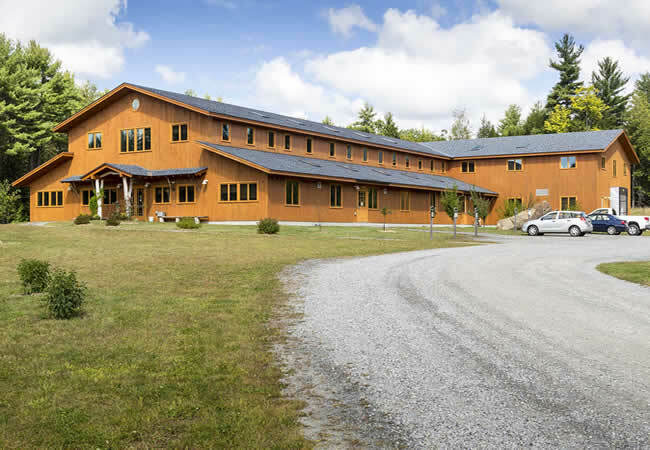 Badger Facility, located in Gilsum, NH, produces, packages and ships their Badger Balm products all over the world, which include lip balms, suntan lotions and scented oils. 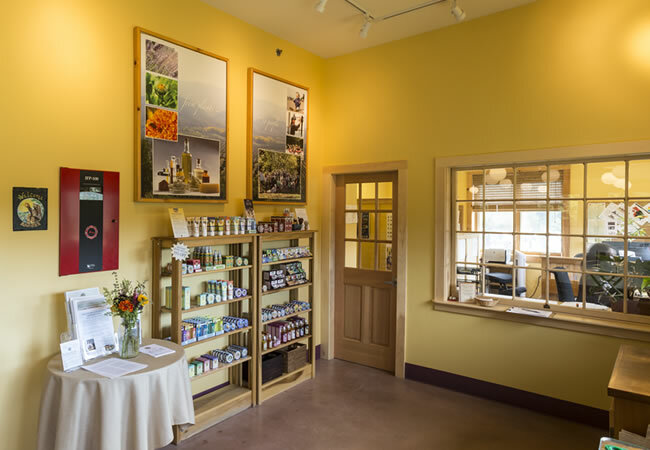 This facility was originally designed to be much larger by the company's owner. But with the help of commercial architects SISR Architecture, the building size was reduced to 20,000 square feet to keep the project within budget. 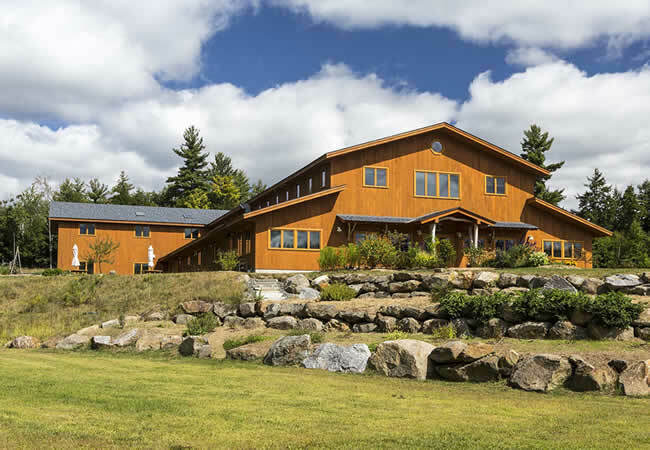 The building is a modified timber frame structure built on a slab-on-grade foundation. The wood stud walls are filled with dense pack cellulose (recycled newsprint) insulation. 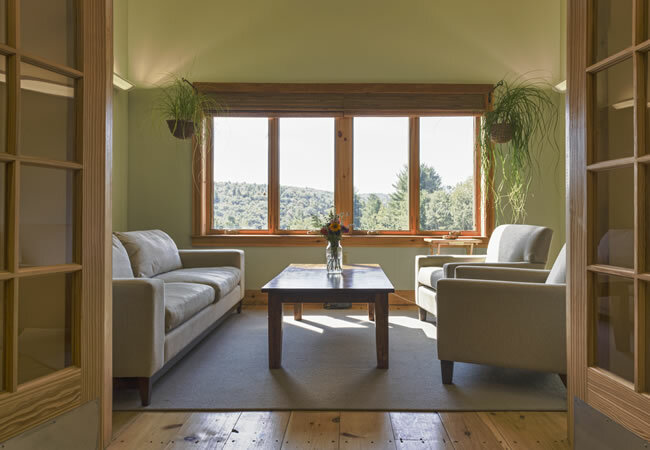 All wall and roof sheathing are rough sawn boards instead of formaldehyde impregnated plywood, which eliminates harmful volatile organic compounds (VOC) off-gassing into the environment. 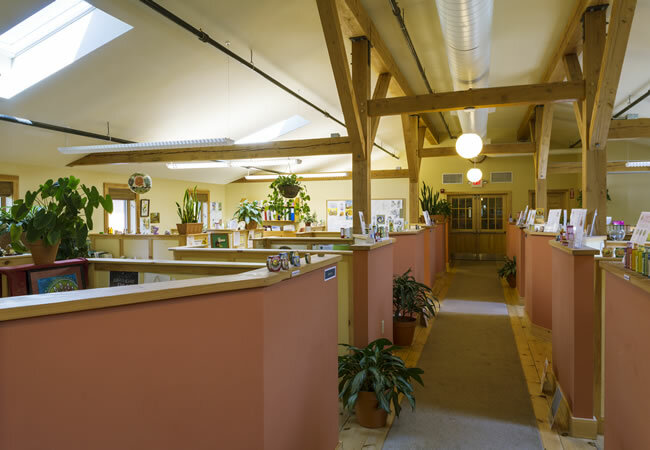 Natural wood windows, an energy efficient heating system and energy saving lighting fixtures were installed throughout the first floor production areas and second floor offices. "Because we had to downsize (the original design), we had new design challenges to solve almost every week and we had to act fast. SISR (Architecture) helped me figure out fun and workable solutions pretty much on a weekly basis. They were also responsible for translating our solutions onto the revised plans and getting them out to the design and engineering team fast. They did a great job of it. Thank you SISR."